William Bass ran a successful carrier business with his brother John from Hinckley, Leicestershire. 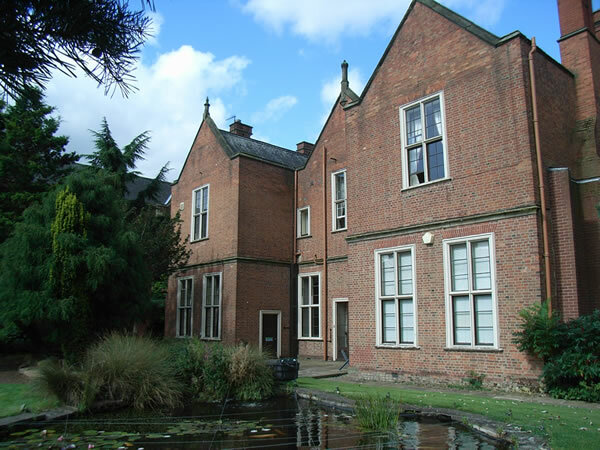 In around 1756 after his marriage, he settled in Burton-on-Trent, attracted by the fact that it lay on the newly opened Trent and Mersey canal and it was en-route of his weekly freight service which ran between London and Manchester. He continued his business in Burton with beer being the most common freight. In 1777, although now aged 60, William saw the greater potential for brewing and was presented with an ideal opportunity when Reverend John Hepworth and Nathaniel Dawson looked to sell their large house in High Street, built around 1750, with brewing facility and malt-house added on adjacent land soon after. They had previously been customers of William’s freight business. William sold his transportation business to the Pickford family and used the funds to purchase the substancial house and existing facilities and thus began the Bass brewing business. bed chambers on the second floor; attic storey. pigeon house, walled garden with fishponds. He lived in the house until he died in 1787. The house then passed to his son, Michael Thomas Bass (senior), who grew the brewery to the largest in Burton; then to Michael Thomas Bass (Junior) who was the driving force beind the merging of the Bass, Ratcliff and Gretton Breweries to ensure continued dominance, before becoming the home of Michael Arthur Bass, who was born there in 1837 and who was to steer the brewery to World fame. The below picture from 1834, which precedes any photos, gives a glimpse at what the Town House and adjacent brewery would have looked like in these early days. A high wall with gateway can be seen at the front of the property, which was at some point, replaced with low railings to expose the front door and we get a tantilising look at the original brewery where the Bass empire began. 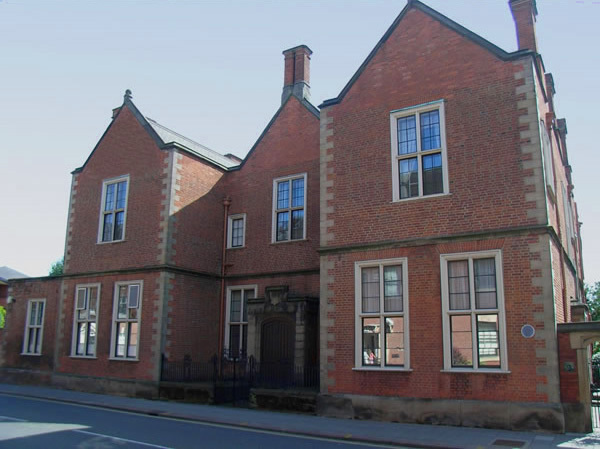 In the late 1850s, Michael Thomas (Junior) had Rangemore Hall built which was to become the family seat, and the Town House passed to his son Michael Arthur Bass. 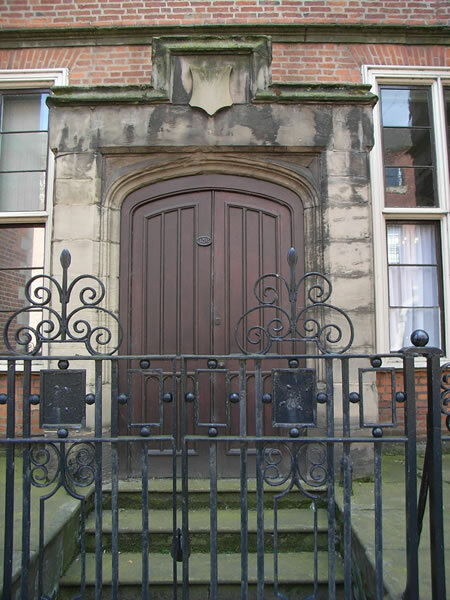 This historically significant building can still be seen with the front door now unobscured and still displaying the address of 136 High Street. In the 1860s, Michael Arthur Bass (eventually to become Lord Bass, 1st Baron Burton) also moved out to the now magnificent Rangemore Estate but, for the convenience of its proximity to the brewery, he retained the Town House to avoid the need to trek backwards and forwards to Rangemore when advantageous (well before motorized transport), or to accommodate visitors. 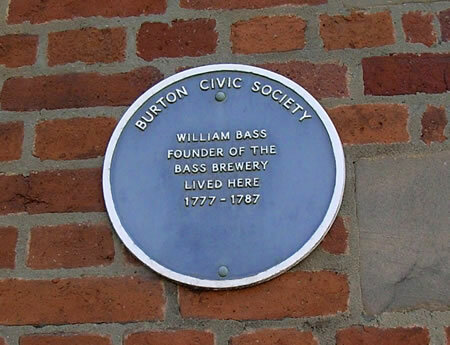 In recognition of the significance of the building to the town’s history, the Burton Civic Society mounted a commemorative plaque which can be seen in the above picture, but which many Burtonians will doubtless have walked past without noticing. After almost exactly one hundred years (1876-78), the original brewery buildings were rebuilt in keeping with the Town House, which remained. This etching was produced in 1882 when it was almost new.